For members of the “Yukon Journey” charity paddle and expedition, traveling north to canoe and kayak North America’s third-longest river is the start of a bucket-list adventure. It’s the same for Chelsea Mayer, a 29-year-old resident of Clinton, Iowa. But this trip is also something of a homecoming for Chelsea – she was born in Fairbanks, Alaska. Spending her formative years in “The Last Frontier” definitely inspired the young Chelsea’s love of nature. It wasn’t her only path to the great outdoors, though. Her father’s family owned and operated a cabin resort near Land O’ Lakes, Wisconsin, for over 50 years. Given these two influences, it’s not surprising that Chelsea has been camping, hiking and fishing since she was a child, and canoeing since age 12. As an adult, she took up kayaking about five years ago. Chelsea, who is part of the Mississippi River Angels network to help passing kayakers and canoeists, says that her favorite paddling to date has been on the Mississippi River. She was planning a trip down the length of the Wisconsin River when the opportunity arose to join the Yukon Journey expedition. Chelsea, whose occupational life has included a four-year stint as a Park Ranger for the U.S. Army Corps of Engineers, returned to school to recently complete a bachelor of science degree in Environmental Studies from Ashford University. 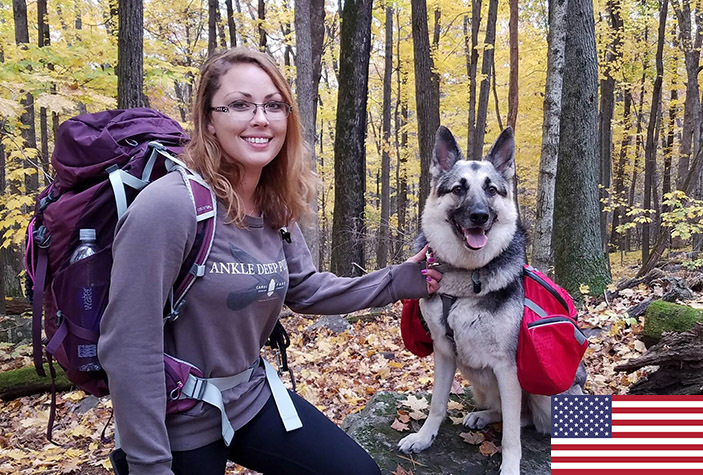 Editor’s Note: Chelsea is one of six team members that will take part in the expedition, and one of several members from the United States. Read the other team members’ bios to learn more about this unique group.